Discover your dream conservatory. Imagine a place in your home where you can retreat to and relax in. A luxurious, soothing place, that brings light and air into your property. A place just for you – tailored to your specification, accommodating your individual style. Our luxurious conservatories substantially increase your living space and enhance your lifestyle. They should also add tremendous value to your property when the time comes for you to move on. We also offer roof lanterns, which are a popular solution when space is short or you need extra light in an existing space. 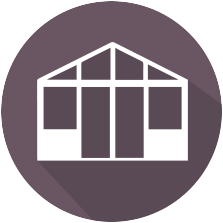 From the elaborate to the contemporary, our conservatories are designed with the market leading benefits that deliver highest-quality workmanship and exceptional value for money. We can simply supply your conservatory, supply and fit or project manage from building works to second fix electrics. 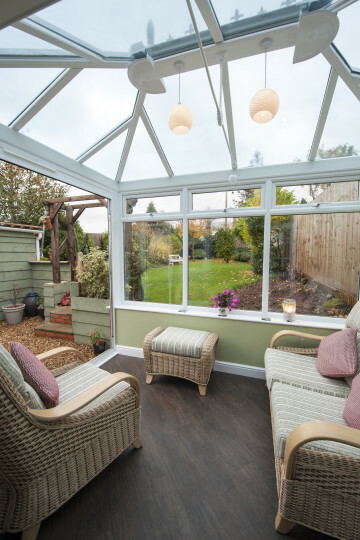 An extensive range of styles enables the right character of conservatory to be chosen to suit your home. Plus our coveted reputation for quality and reliability gives you confidence that you are choosing the very best. Our uPVC conservatories are available in several colours including white, rosewood, mahogany, white, light oak and the stunning irish oak. Choose your style from Lean-to, Edwardian, Victorian, P shaped, T shaped and Gable end with a choice of polycarbonate or glass roof. 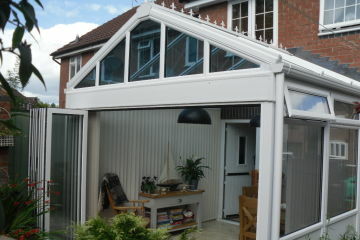 We also offer aluminium frame conservatories, which can be powder coated in a range of colours. 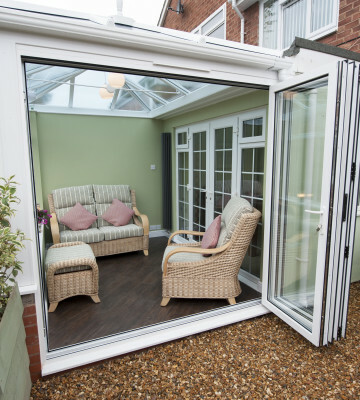 Aluminium frames are available with bi-fold doors which can be beneficial when you’re short on space. 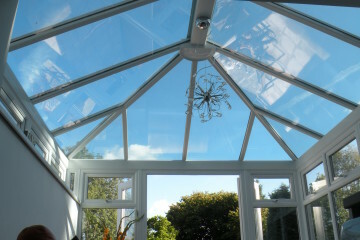 We can fit your conservatory with ActiveBlue glass which retains heat but reflects glare and overheating. 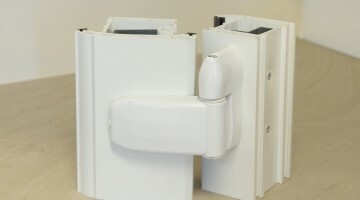 This helps to keep your room temperature comfortable whatever the weather. 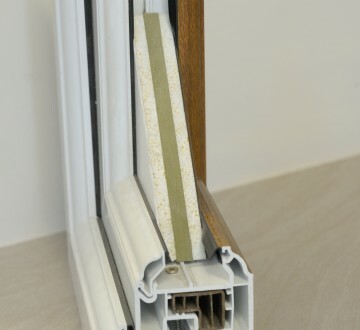 This high-spec glazing is available in subtle blue, grey and bronze hues or in a clear style. 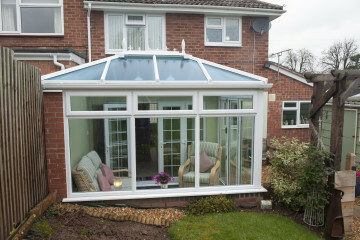 Conservatories are a cost-efficient and elegant solution for adding space and value to your home. 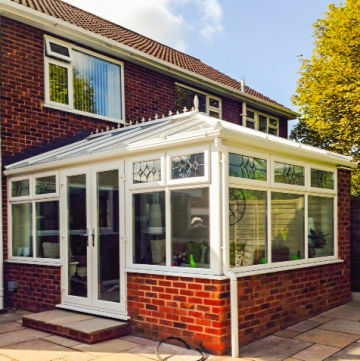 If you’re considering a new or improved conservatory, don’t hesitate to call us on 01432 264777 to discuss. 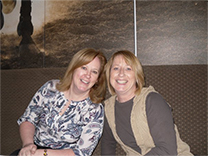 We can visit you for a no-obligation quote and to assess feasibility. I can highly recommend Pip and Nicky, my house looks lovely!